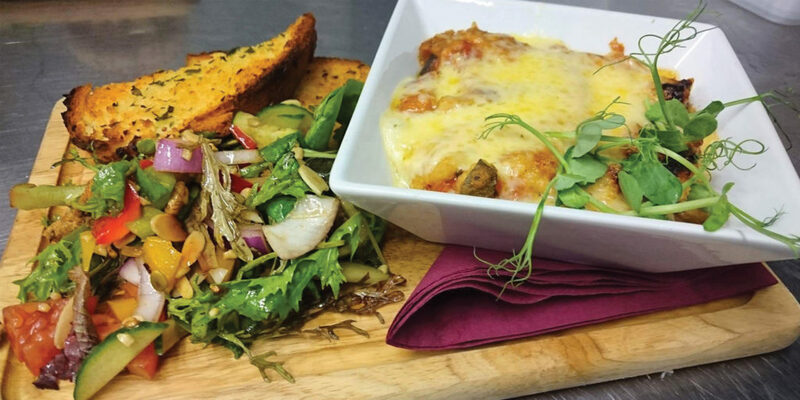 We discover a charming pub with heart and history at The Miners Arms in Mithian. Stepping into The Miners Arms is like a walk through history. Over the years this intriguing 16th century pub has been a courthouse, a venue for inquests, smugglers’ lair and even a house of ill repute. A secret tunnel underneath the pub was supposedly frequented by monks and smugglers in ages old, while reports of ghostly figures skulking about the building only add to the sense of atmosphere. 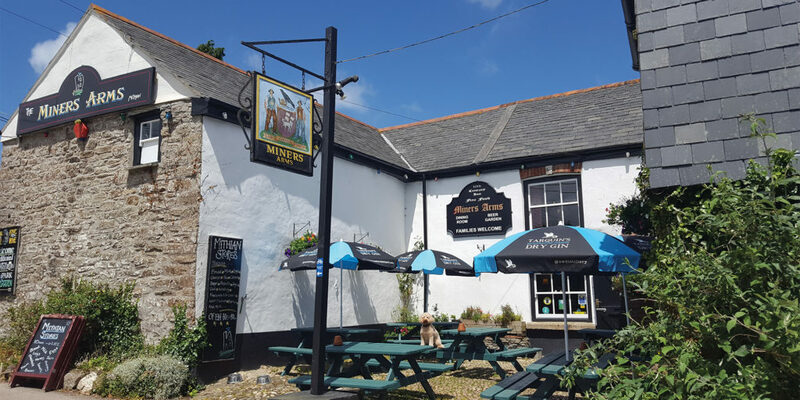 You’ll find this traditional pub situated in the hamlet of Mithian, an old Cornish village in between St Agnes and Perranporth, approximately 30 minutes’ walk to the beach. There are cosy ‘old world’ dining rooms upstairs and downstairs and roaring fires in the winter to warm you up after a long walk. 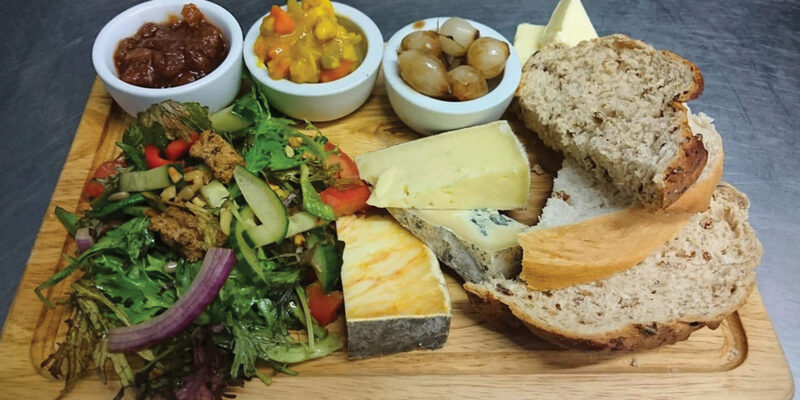 The Miners Arms is hugely doggie friendly, with plenty of scenic walks to enjoy around the area including circular walks to enjoy and finish with some lunch by the fire with your furry friend! 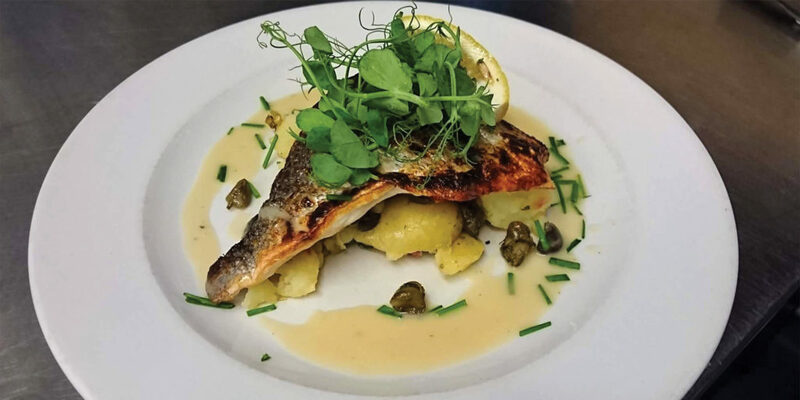 The delicious menu takes full advantage of local Cornish produce wherever possible, from fresh fish specials, Cornish crab to the local butchers’ specials such as delicious braised lamb shanks and local steaks. And vegetarians, vegans and the gluten-free will be pleased to see they are well catered for, with a dedicated menu, rather than the typical token gesture. Delicious homemade food is served all day, including amazing desserts. Having trouble deciding which yummy delight to end on? Simple – just opt for the trio of desserts, a sampler of three favourites all on one plate! Just looking for a light bite? The pub offers a selection of sausage rolls and fresh baked cakes on the bar, as well as delicious cream teas. But for the ultimate pub experience, nothing beats a Sunday roast, particularly as the evenings begin to draw in… roaring fires, a choice of four delicious meats, nut roasts for the non-meat eaters, and all the trimmings. With food served all day, everyday, we challenge you to find a better location on a crisp winter Sunday, or any other day of the week for that matter! "We're a friendly family who pride themselves on making you feel at home during your visit to The Miners."